For the past 10 years, people have been ummhing and aahing about Electric cars. Save the polar bears, dolphins – and use less paper, switch off the lights and eat plants etc. The problem is that no one has listened! The World still relies heavily on oil that we get from OPEC countries, and even without knowing a damn thing about Economics, it seems like the conflicts in the Middle East and Africa, have a massive effect on how much I pay for fuel, every time I go to the petrol station. So without turning this blog political, here I would like to pose a simple question. What if you could actually drive to the Drakensburg on Electric and Petrol energy combined? 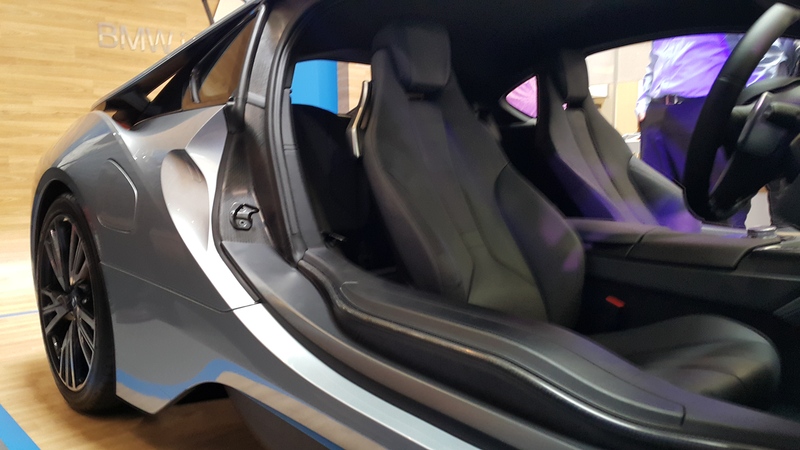 We begin with the BMW i8, because it is the most important car of our modern age! The question has always been, can you get an electric car, that isn’t shaped like stupid G Wiz, that has the performance of a sports car like the 911– but the efficiency of a shark gliding through water? And this is what the BMW I8 is. With quoted figures of 2.1 l / 100 km (which we will test in 2015 when we can), this car represents the new age of energy efficiency. In a country with terrible energy planning and crumbling power infrastructure begging for Medupi power station to come on line, why not assist Eskom and the petrol companies, by having a car that can generate its own electricity? 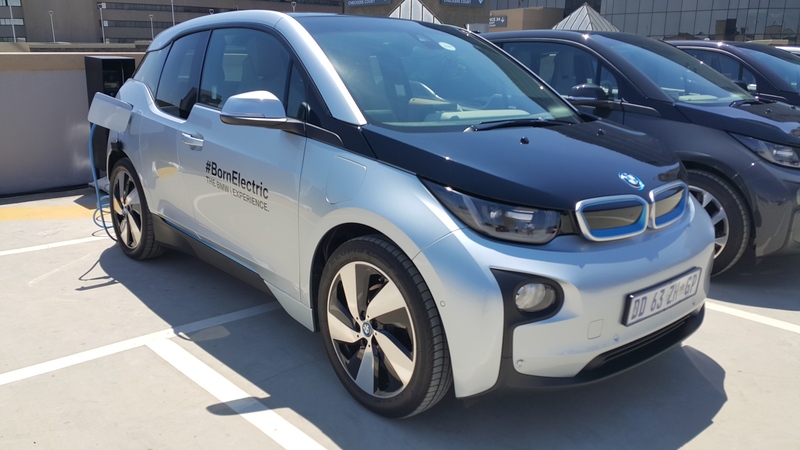 BMW I3 on the Sandton City rooftop. Amazing little 100 metre course, to get a quick feel on the car and acceleration. See our video on our facebook page. Imagine if we could get to a stage – where we can drive 1500 kms, before needing to charge up again. 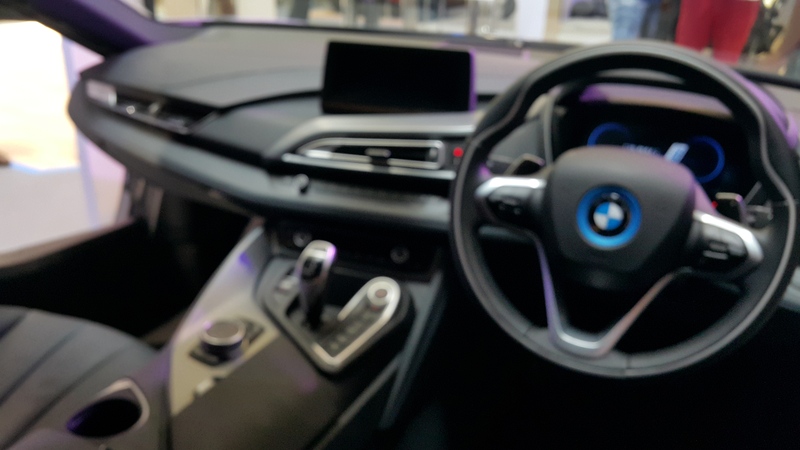 Looking at the basic range on the i3, it is clearly meant for those in city hubs – that have a short distance to go to work – and that would pay only R 4.00 to go from Sandton to OR Tambo – in one quick drive. We worked out on that the VW up! we drove the other day, it came down to R 1/km. 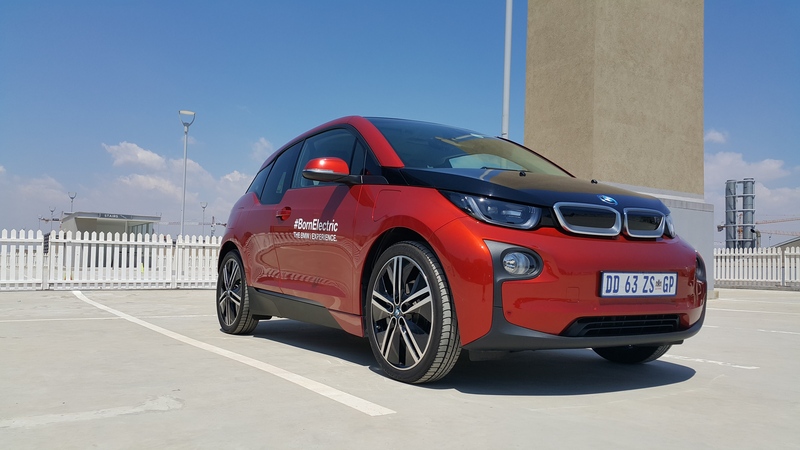 So if for a second we measure the same route – it would cost a lot less on the BMW I3 – up to 4 times less on that trip than most other petrol 1.0 l cars on the market today. Of course you pay around R 500 000 for this, but many people have already, with the Toyota Prius and Nissan Leaf. Now there are two cars – no one willing has spoken openly about, and that includes Nissan and Toyota themselves. Consider for yourself how many times on TV you have seen a Hilux or Navara advert, versus that of the Prius or the Leaf. Perhaps those really informed, don’t watch TV, instead they read my humble little blog. This is the actual cost in Kw/Hr terms, of the BMW i3 can put out. If you need to do less than 300 km`s a day – to work and back, this would be the ideal car for you. I say this because there are many, many readers on our blog, who have to drive up to 50 km`s to work and back daily. Especially in Johannesburg and Cape Town, where inner city traffic, the N1, M1, N3, N12, N – whatever, can be easily jammed up and you waste fuel the whole day, sitting for up to 45 minutes morning and afternoon in the traffic. If your current car does not switch off automatically, perhaps you should consider a few alternatives that can. The BMW i3 and i8, represent two cars – appealing to many many people. On Top Gear –Jeremy Clarkson (the King of automotive journalistic reasoning), called the BMW M3 a Typewriter, and the BMW i8 a Laptop. If a man who hates Green Beanies, and who lives for petrol and diesel and all the insane things they can do when the combust can love that car. How much more can we? You can send all the press releases you want, but unless the common man and woman knows about your car – and its benefits, then no one will make the move to the dealership to buy. 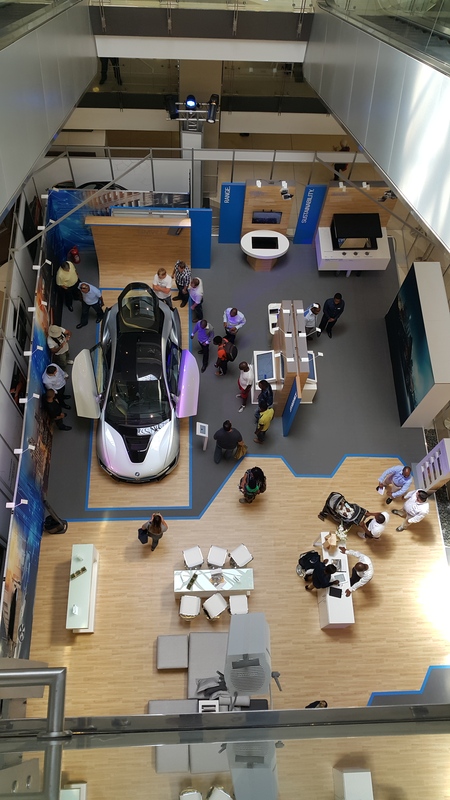 BMW have chosen Sandton City, the well-heeled urban capital jungle, to display their wares and it has worked. Think we prefer the red/orange ones, compared to the others. Connected Drive, Smart Navigation and getting you to work or home on time! 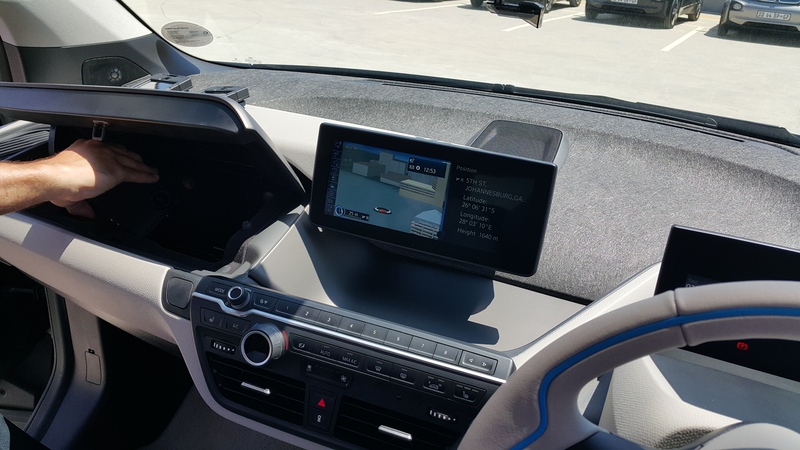 Both BMW`s, and nearly all other BMW models coming out now, feature Connected Drive. This is specifically meant to aid everyday life, by providing a call centre for you to call on – should you need dirctions, as a concierge service and to give you updates on where your car actually is if you are lost. When we drove the BMW 2 series active tourer, we called in to ask where we were and to find out my current mileage. It was quick to call, answered in a few seconds – and the helpful agent managed to send me directions back to the dealership where I was doing the test from that day. 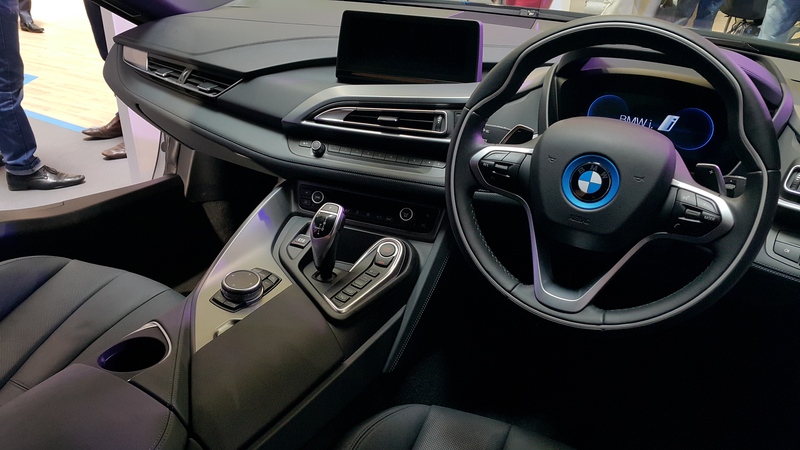 Above and beyond that on the I3 and i8, there is an App for Apple and Android, which will be able to tell you how much your car is charged up via your iWatch or Samsung/Android phone. 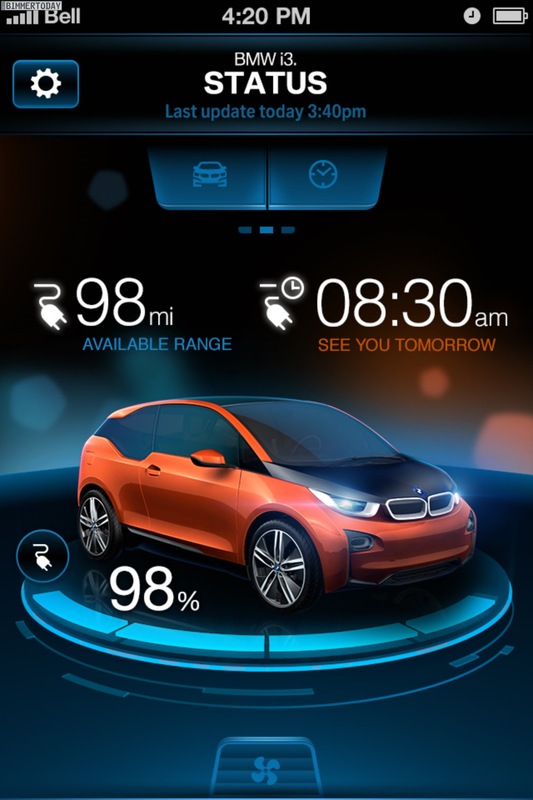 Example of BMW App, which you can download to your phone to check on the charge status of your BMW. 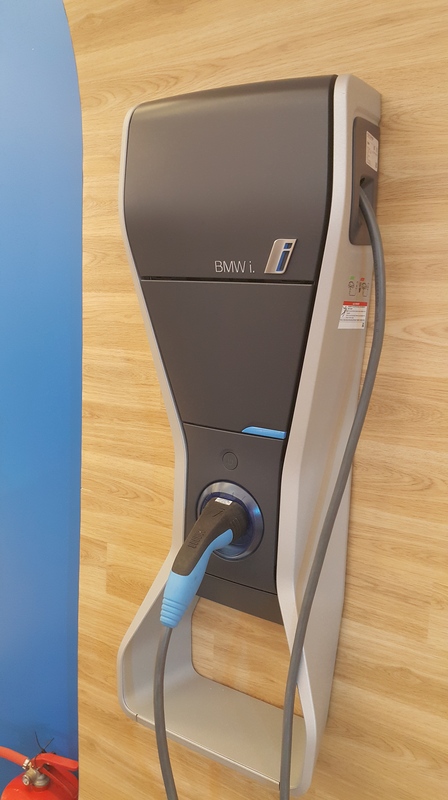 The I8 and I3 have nearly the same charge time as my first Nokia 2110 – around 4 – 6 hours, with a 3 phase Wallbox, which can be installed by BMW for you at your home. If you live in an apartment, I guess this car won`t be ideal, but I do foresee more modern buildings building charge bays into their existing parking basements. 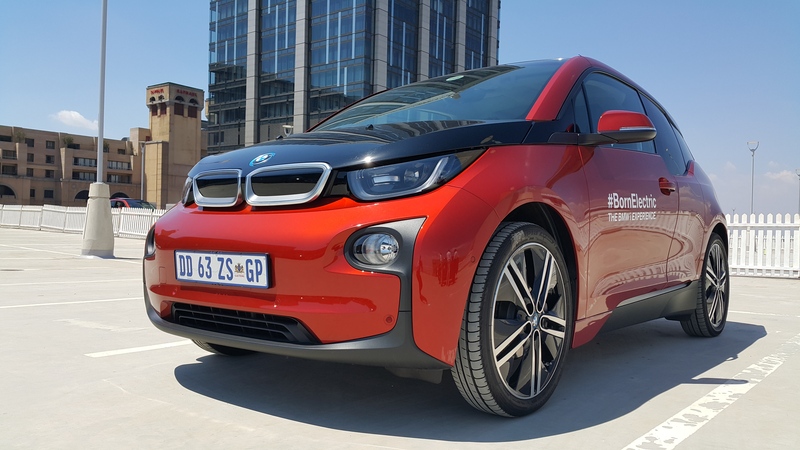 Especially if BMW decide to sell around 100 of these cars in SA, those that buy them will be influential enough in modern cities to ensure that happens. What you must know is once the plug is in and charging – it locks into place, so that no one can pull it out. In terms of the BMW i8, there may be another way of charging, which will involve a loop under the car, and a special mat that goes into your garage. This needs to be confirmed with BMW SA. 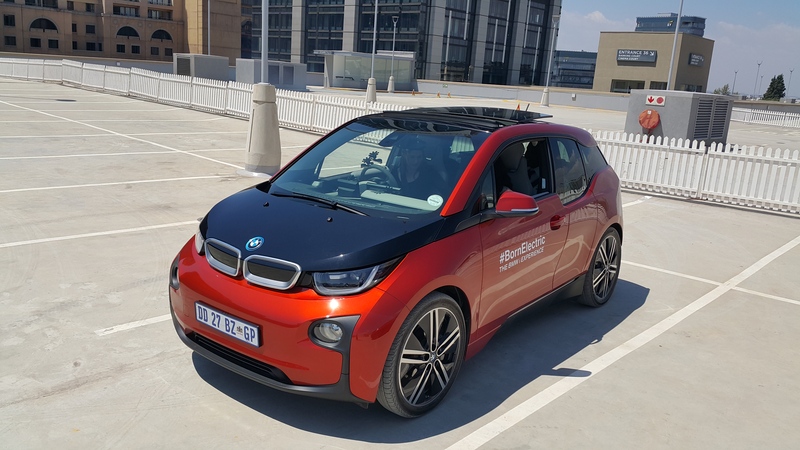 Our thanks to Christo Harmse and Guy Kilfoil from BMW SA, who allowed us a test on the BMW i3. If we get chance to test the BMW I 8 we will certainly do another update in the next 6 months on both cars. 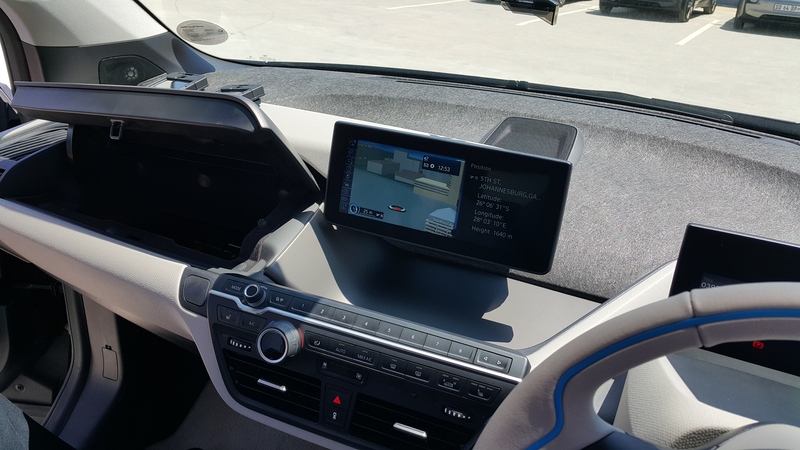 There is much much more to tell you about the i3 which we drove, so expect another post on the i3 separately. Less can go wrong with less mechanical parts. Saving the environment and reducing our consumption is key to sustainable mobility. 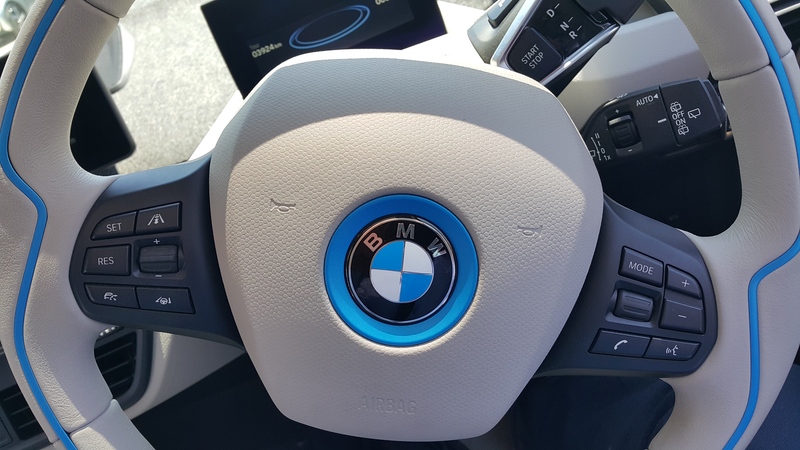 All BMW`s will move to electric power by 2022. Huge thanks to everyone supporting the blog so far – please don’t forget to click the follow bottom below on the right. We only get access to awesome cars to review, if you follow and show support, so we can`t do this without you! This entry was posted in Car Review. 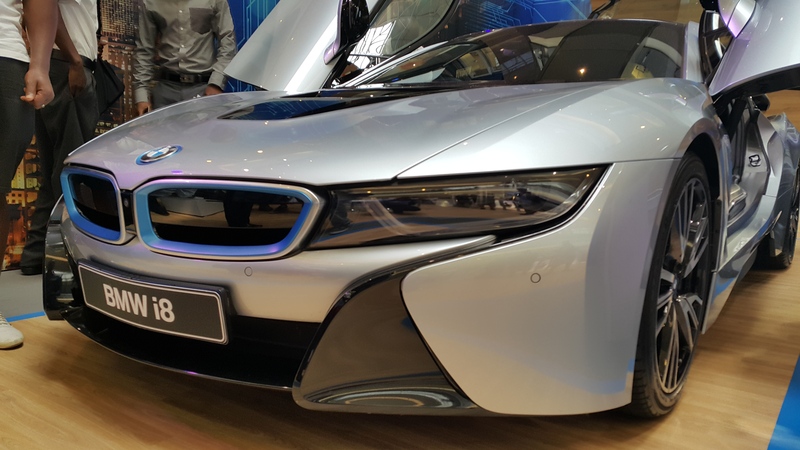 Tagged BMW Hybrid, BMW SA, BMWi, Christo Harmse, Electric Car, Guy Kilfoil, Hybrid BMW, Hybrid Cars South Africa, i3, i8, i8 Car Review South Africa, Johannesburg, SABUYERSGUIDE, Sandton City, South Africa. Torque vs Electric – Deutsch Effizienz. Reblogged this on SA Buyers Guide.COM.